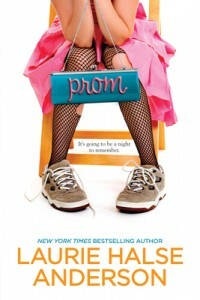 Ashley Hannigan doesn’t care about the prom, but she’s the exception. It’s pretty much the only good thing that happens in her urban Philadelphia high school, and everyone plans to make the most of it – especially Ash’s best friend, Natalia, who’s the head of the committee and has prom stars in her eyes. Then the faculty advisor is busted for taking the prom money. Suddenly, Ash finds herself roped into putting together a gala dance out of absolutely nada. But she has help- from her large and loving (if exasperating!) family, from Nat’s eccentric grandmother, from the principal, from her fellow classmates. And in making the prom happen, Ash learns some surprising things about making her life happen, too.